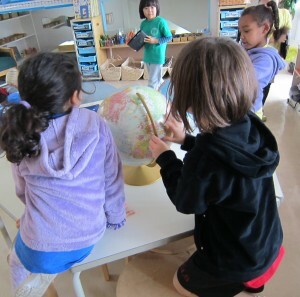 As part of our unit of inquiry into Where We Are in Place and Time, KC have partnered up with a Kindergarten class in Canada as part of a project called Kindergarten Around the World. Michelle, our buddy class’s teacher, and I have been emailing each other to plan how the project might unfold. Michelle’s class have been tweeting for quite a while. 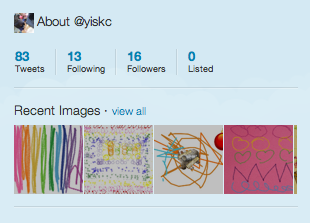 I had planned to introduce the KC children to twitter as a collaborative writing engagement but was waiting for an authentic purpose and audience. Et Voila! Perfect timing! Our Canadian buddy tweeting experts initiated the contact by tweeting KC. And so began the collaboration. 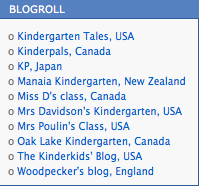 We know our Canadian buddy class as KinderPals, their twitter handle. The KC children pointed out that Ryan and Maya have Canadian connections. 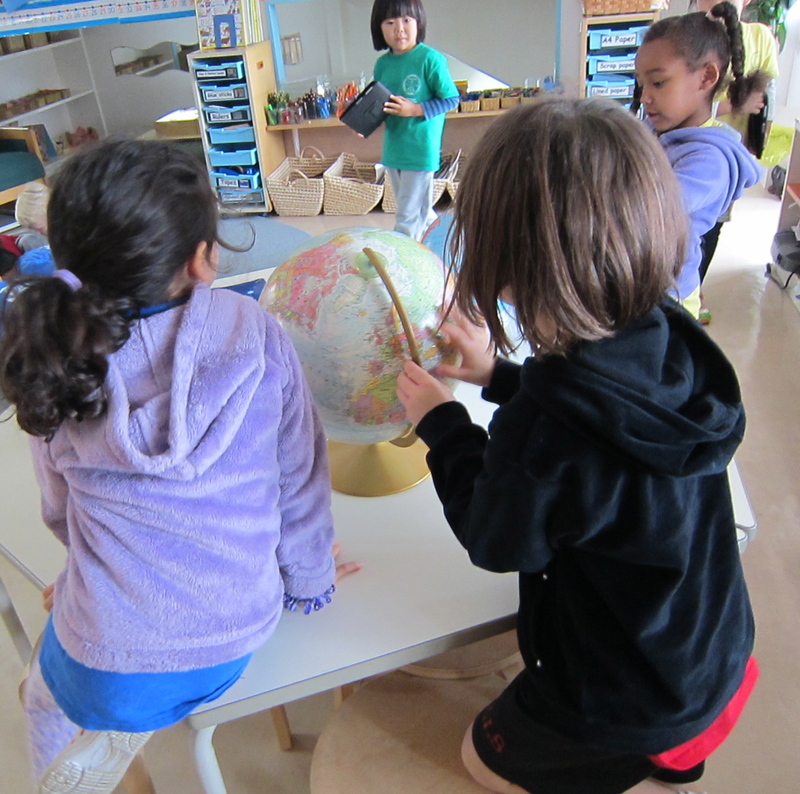 We wondered where in Canada our KinderPals were, and where Ryan and Maya were from. We tweeted KinderPals and emailed Ryan’s and Maya’s parents for more information. KinderPals replied that they were from Abbotsford, in BC, about an hour from Vancouver. The children poured over globes and iPads, trying to find these exotic places. Recently, we have been talking about initials, and it wasn’t long before someone located British Colombia and connected that with BC. 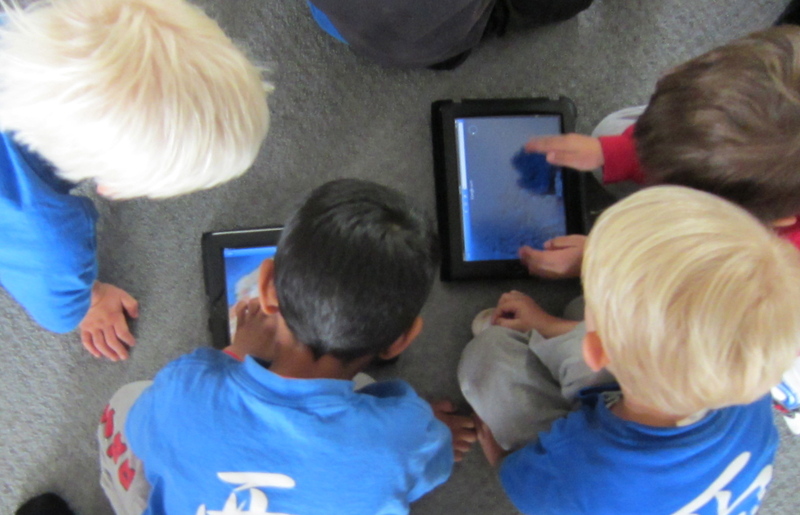 The children wondered why KinderPals don’t reply immediately to their tweets. One child explained, “It’s because they have a different time there. My granny has a different time in England.” This lead to a discussion about time zones. I tried to explain, but I could tell by the faces gazing up at me that some of the children were not convinced. I made a mental note to think about how I can make the idea of time zones more accessible to the children. We have added KinderPals to our blogroll so that the KC children could access the KinderPal blog independently using our iPads. Using Twitter, the children have communicated back and forward across the ocean. 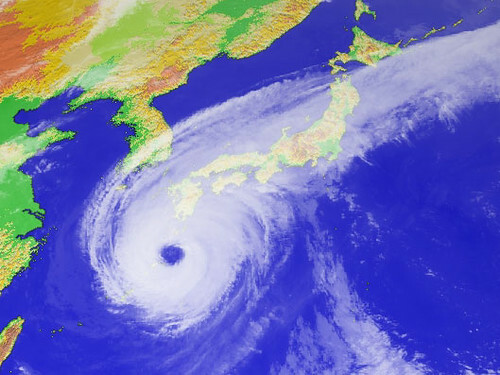 A post on one class blog might lead to a question tweeted out across the time zones. The children are excited to check our Twitter account each day to see if there is a response from their buddies. The children have wonderful ideas about how to share their learning with their new friends. One child suggests making a video. Someone else suggests we send a link to blog post. Another child, responding to a tweet from our buddies, suggests taking photographs of different areas of the school. Yet another says we should make a VoiceThread so that we can talk about the photographs and our far-away buddies can respond. Michelle and I email back and forth, following the children’s lead, supporting and guiding them as they think about each next step. I am intrigued to see where this journey leads us, weaving between two continents and many cultures. We have been introducing the children to a new form of writing; narrative text form. I wanted to find out what the children already knew, so I asked them what they thought a narrative was. 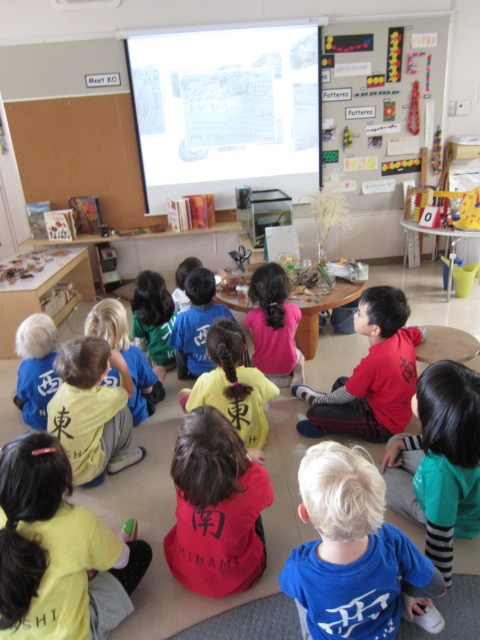 We had a discussion, and I discovered that many of the children were already very knowledgeable. I wanted the children to think about what makes a good narrative. I asked them to work with a partner, making sure that each partner pair contained one child who was a strong reader. Then I gave each pair four different narratives to read. The narratives had been written by children in the same writing developmental phase, but from another school. I asked the KC children to read each of the four narratives and then to rank them in order, starting with the one they thought was the best. I told the children that they would have to discuss their thinking with their partner so that they could reach a consensus. I explained that once all the groups had finished, we would come together and each pair would explain their choices to the whole group. When we came back as a group, one child from each pair called out their rankings and we recorded them in a table. When we looked at the completed table, the children realized that pairs had ranked the narratives differently. We had a discussion and the children took turns to explain their thinking. Their contributions told me a great deal about their level of understanding. As the children shared their different ideas and listened to the ideas of others, they deepened their understanding about the components that make up an effective narrative. As the discussion continued, some children began to rethink their ideas and change their mind. By the end, there was consensus amongst most of the students about the order of the rankings. As I listened to the discussion, I realized that I had made an over-sight in selecting the writing samples; the longest sample was actually the best, the next longest, the next best, and so on. Some children had ranked the writing samples according to the length. Next time I do this activity, I should make sure that the best ample of writing is not the longest. This will help the children to understand that quantity and quality are not necessarily related. As the children work on updating their portfolios, they have been reflecting on how they have changed over the three months they have been in Kindergarten. The children looked at photographs that recorded them writing with a variety of materials and for a variety of purposes and audiences. The children have been keeping weekly journals, in which they record the important events of their week, using words and pictures. 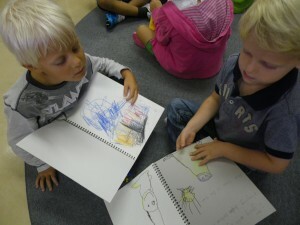 The journals provide a record of how the children’s writing has developed. All of the children commented on how much they had learned about writing. “We’re writing monsters!” commented Carl with a wide grin. This is a KC insiders’ joke, begun unwittingly by Jenny’s father last year, when Jenny’s older sister was in KC. Angela had come to school one day and had shared at a morning meeting that her father has said she was a reading monster. The children liked this, and we all began to use the word monster to describe anyone who was good at something. This insiders’ joke has been passed down to the current KC students.